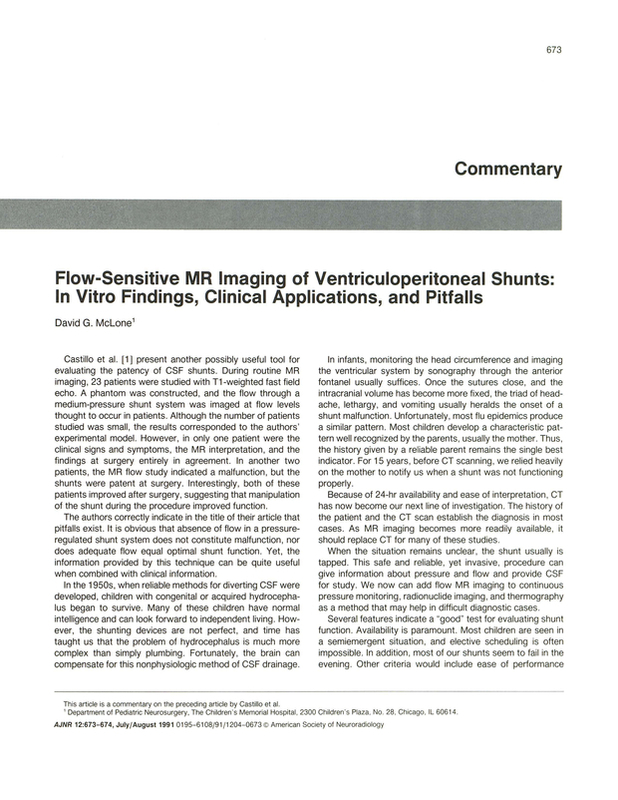 Flow-sensitive MR imaging of ventriculoperitoneal shunts: in vitro findings, clinical applications, and pitfalls. Department of Pediatric Neurosurgery, Children's Memorial Hospital, Chicago, IL 60614. You are going to email the following Flow-sensitive MR imaging of ventriculoperitoneal shunts: in vitro findings, clinical applications, and pitfalls.